The Boy from Tomorrow tells about a girl, Josie, and a boy, Alec, who both happen to live or lived at the house on 444 Sparrow Street. They never happened to met because she’s from the past and he’s from the future. Their only means of communication is through a talking board. 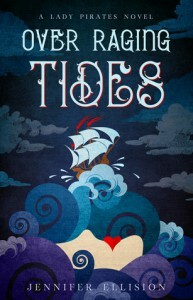 Both Josie and Alec experience hardships and challenges with their own lives, during different centuries. But setting those aside, their friendship strengthens and they get through life little by little with the company of the other. The book involves themes of friendship and family which captured my interest because of its representation in the book. It tackles family issues like abuse and divorce. The friendship of the two kids can be clearly seen, especially in their willingness to talk to the other (even if it means getting caught) and to offer advice and support the other needs. Even if you’re centuries apart and you still want to help your friend, now, that’s called real friendship. There were some chapters and characters which I think were kind of unnecessary. But I understood that maybe it was for clearer context. At first, I found the pace of the book slow but as the chapters dragged on, the pace became better. I knew from the first line of the book that there was something, something that had piqued my interest which could make me attached to the book somehow. The writing was nice, not because it was for middle graders, but in all seriousness, the writing was really good. That’s one thing I enjoyed about it. The writing was just simple, clear, and easy to comprehend. I felt like a young girl once again when reading this book. I felt like I was reading the kinds of books I read during my childhood. It was good to reminisce and this book made me did that. The books had a sense of lightness but also, a sense of deepness at the same time and I liked that it wasn’t just at surface level. I actually had plenty of chances to read this once I’ve started but I just seem to be always in a book slump whenever I try to read it. I finally had the courage to continue where I left and ended up actually liking the book. The Boy from Tomorrow is actually quick and heartwarming read that can be for everyone, not just middle-graders. When reading this book, you could feel a whirlwind of emotions for the characters, sympathy, anger, sadness, joy. We could even learn a thing or two from Josie or Alec, to value our past, the present, and future. Just a lil’ trigger warning and semi-spoiler. There is a chapter involving child abuse. When I read about it, my heart just went soft for Josie and her sister. They don’t deserve to be treated the way they did. No child does. A Fist Around the Heart: Two Sisters, Two Cities. One Train, One Life. I have delayed this book for sooo long. I just never had the energy to pick it up again once I've put it down. But finally, finally, I've finished it (last year actually before 2018 ended) and I've come with, you called it, a review. A Fist Around the Heart is about the relationship of two sisters, Anna and Esther, who were forced to migrate to Winnipeg by their mother to escape the chaos in Russia. Since then, they were forced to live with their mother’s employers as their apparent guardians. A lot has happened in both their lives during the years that have passed. One day, after visiting Anna, there was news that Esther killed herself by letting herself get run over by the train that was supposed to be her ride home to Winnipeg. Throughout the book, it shows the hardships Anna experienced, both living alone in New York and living with her sister, parents, and guardians. It deals with loss, pain, trauma, grief, and mental illness. But there were also parts which showed friendship, family, and support but being independent at the same time. A Fist Around the Heart was an interesting read for me. The book's pace was just good enough for me and I understood what was going on. I could distinguish which were the flashbacks and the ones in the present day. I liked how some parts were kind of realistic and how I imagined they would be. I also learned some new things about history when I read this book. Let's talk about the sisters... I could somehow relate to Anna's grief and I sympathize for her. All throughout the book, I admired her for being such a strong, independent woman. She may not had it easy but she got through. As for Esther, she made me think of how she and her sister have had it rougher compared to my life. She struggled through so much in her life. They both faced lots of challenges but they got through because they had each other. Or at least, Esther did. She was kind of dependent to Anna and that showed how fragile and vulnerable she is. Lucky she had Anna by her side as her support system. Ugh, this book just makes me want to have a sister even more! The support, love, and concern represented by the two sisters frustrates me because I don't see that with me and my brothers. I hope that someday I could find someone who would consider as a sister to me and me to her. Note: Thank you to NetGalley for my copy of A Fist Around the Heart. I haven’t read any book by Ellen Byron yet, or any installment from the Cajun Country mysteries series either so I’m really new with their writing and the setting of Cajun Country. Because I’m a clueless human, the book introduced me to new things such as Mardi Gras and the orphan train to name a few. Her writing is also simply amazing. One thing I really really really liked was the flow of the story. The transitioning of each chapter makes me smirk every time. It’s just begging me, inviting me to read the next chapter immediately, and I did. Most chapters ended in a cliffhanger (spoiler!) which, for me, was frustratingly good (if that makes any sense). I started slow but quickly picked up my pace when the cliffhangers began, continuing one chapter to the next. I just had to. Onto the characters… (yayyy!) I absolutely, genuinely adore the characters in Mardi Gras Murder. I felt that most of them had character development. You can see how each character is well-rounded and that each one has a different story to tell. You can’t really point out who is good or bad, innocent or guilty, at fault or not. Here’s one thing I can tell you: We can’t really say who did what because we don’t really know know everyone. We all have our secrets but at some point, they’ll be revealed. Someday, one way or another. It's a chill book that gives chills. So settle in and ready your little tiny heart for some murder action and mystery in a town where it seems fun and light on the outside but secretly hides quite a lot of darkness on the inside. This book is very kawaii! It's about two young co-workers that are both geeks, one is an otaku and one is a gamer. They are also joined by their fellow colleagues, who are also their friends. I would definitely read the other volumes because it's just sooooo adorable. Overall, I found very light and an easy to read manga. It would make you laugh, smile, and smirk. So if you want a fast-paced manga that isn't complicated, read Wotakoi. Just a side note guys. If you didn't know yet, Wotakoi's already been turned to an anime and I think it's good. P.S. I finished this like about a month ago but I just felt like posting a review about this today hehe. We made our first visit to Orléans today because we wanted to break the journey from Cherbourg to Switzerland and we fervently wanted to avoid driving anywhere near Paris. I'd expected a pitstop at a hotel and maybe a look at an interesting building or two tomorrow. After six hours on the road in 28C heat, in a car where the aircon had expired, all I wanted to do was to eat and sleep. 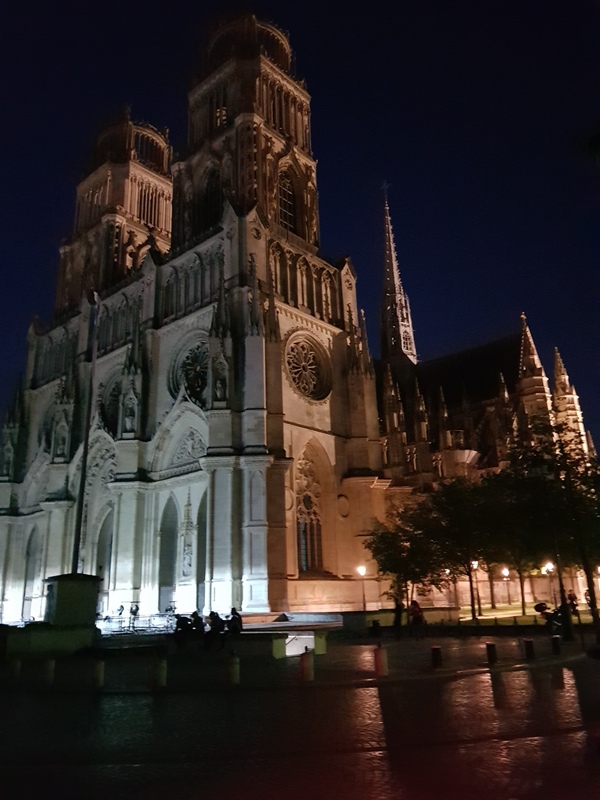 Fortunately, the meal refreshed us so we took a late evening walk through the town and discovered two things: Orléans is big, beautiful and bustling and tomorrow in the Fête Nationale De Jeanne D'Arc, a national holiday that celebrates the Maid of Orléans and French patriotism in general. 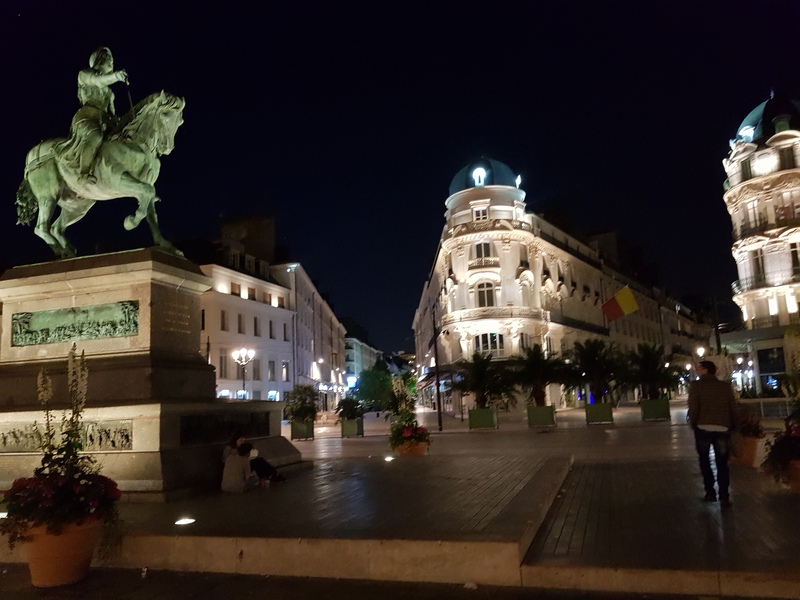 Orléans has its party frock on and people are already feeling festive, Here are some pictures from this evening that I hope give a flavour of the town. First things first, the concept is pure genius. Turning the childhood classic tale of Cinderella into a modern-age, futuristic story that not just young teens might enjoy, but by everyone, too. Putting that big of a twist on such a simple story, Marissa Meyer definitely did a great job. Can’t wait to read the other retellings she did. Pacing. The start, for me, was kind of slow so I was kind of was bored. But after a few chapters in, I was engaged and excited for what could happen next, especially with the budding romance. The romance actually started in the first or second chapter of the book which lured me in even more so I was kind of disappointed when it progressed after a number of chapters. It’s fine. I’m fine. Writing-wise. I am not used to a lot of flowery words and the third person’s POV but I guess it’s time to turn in a new leaf. Every seed needs to bloom. Yet, here I am, growing little by little by reading such books. Character-wise. The characters were close and similar with their fairy tale counterpart. I love the idea that there were also new characters introduced in the story, such as Dr. Erland and Iko to support the story. I both adored them. Dynamic and interesting characters, I must say. Another insert. Cinder is an awesome mechanic and character, no doubt, who has developed throughout the story. I need Prince Kai to have a special mention here somewhere. Because, stars, he is the total package. He’s nice, attractive, awkward, funny, and willing to sacrifice a lot for his people (Cinder included). The way his hair falls on his face. I CAN’T EVEN. Anyway, I might add him to my list of fictional boyfriends this time. He sure does deserve a spot. His relationship with Cinder is just adorable. Too bad she can’t blush. I also have to talk about my distaste for Pearl, Queen Levana, and Adri. Wait, maybe just Queen Levana. Wait. Nope, Adri and Pearl kind of made the cut. I understand where they’re coming from because they are still grieving for Peony but that doesn’t mean that they can bully and push Cinder around just because they can and want to. I also hate the fact that Adri constantly uses Garan’s death against Cinder, making it seem that she killed him by adopting her. Adri and Cinder fight about it and I always get annoyed because Adri dumps all of it on Cinder but it isn’t her fault. It’s no one’s fault. Why can't she understand that simple thing?! To me, it looks like Adri and Pearl are just miserable and they release it on Cinder. As for Queen Levana, she is a phony, tricking everyone around her into believing that she is beautiful inside and out. And I don’t like her for it. I find it annoying, really. But I want to figure them out more, perhaps in the following books. Time for some light comments. IKO AND PEONY. OH MY STARS.Iko is probably the best sidekick / best friend I have ever read. I wish I had a good friend like Iko is just light and easy to be around, not pressuring me into anything, but still cares for me. Peony, on the other hand, is like the sister I never had. I don’t get why she had to die. Maybe she just had to… but why? WHY?! JUST WHY?! R.I.P. Linh Peony. The ending. Is not an ending. It is a cliffhanger. A FREAKING CLIFFHANGER. I AM LITERALLY HANGING ON THE EDGE OF MY SEAT, ANTICIPATING WHAT WILL HAPPEN TO PRINCESS SELENE! TO NEW BEIJING! TO IKO! TO DOCTOR ERLAND! TO PRINCE KAI! TO MY FREAKING SHIP! Marissa Meyer knows how to leave a good cliffhanger. It evidently means that I should read the next book. And I will. Soon. I seriously took too long to finish this book... Anyway, here it is! Lorena “Hick” Hickok didn’t have it easy from the start. She was abused, separated from her sisters, lost her mother at a young age, and lived in poverty. Now, she has worked hard, and as a journalist, she was tasked to report on Franklin Roosevelt’s presidential campaign. Hick grows closer to his wife, Eleanor Roosevelt, and is asked to move in the White Houses where she is labeled as the “first friend.” As the years go by, they, as individuals and as a couple, undergo different experiences and encounter challenges that just makes them stronger. It isn’t until the death of dear Franklin that really ignites them and proves their love to be true. Amy Bloom’s portayal of Hick’s life and realationship seems close to reality, even though it is just a fictional account. I like how she wrote the backstories of Lorena’s life, especially during her time with a traveling circus. Gosh, I love that part. For me, that was the best part of the book because it was where she knew more about herself. The way Amy wrote the words was precise. I admire the way she plays with them and is able to insert some witty remarks in her sentences, here and there. The writing was one of the reasons why I liked the book because it made me feel like I was actually there, years ago even though I’m living in the present. Each character was beautifully written and had their own distinct characteristics. I was just slightly confused with the lack of quotation marks in the flashbacks because sometimes I can’t distinguished which ones are supposed to be said by a person. Another thing that confused me was that the parts weren’t divided “approriately” (I guess). Sometimes, I just think that there were chapters that could’ve been cut short and made into a new chapter so it doesn’t add to the confusion, that’s all. The amazing parts were really the flash backs where there are a lot of, in the book. But being honest, I had some parts where I was reading and felt bored. It’s probably because it slightly involves politics and a few topics wherein you need deeper understanding. The idea of re-imagining a previous first lady and her “first friend” really fascinated me so I read it. I came for the idea, I stayed for the story. If you like a good gay re-imagine of historical ladies with a hint of drama and politics, I could say you should pick this up. My deepest thanks to NetGalley, Random House, and Amy Bloom for introducing me to the fictional world of Eleanor Roosevelt and Lorena Hickok (and for the book)!